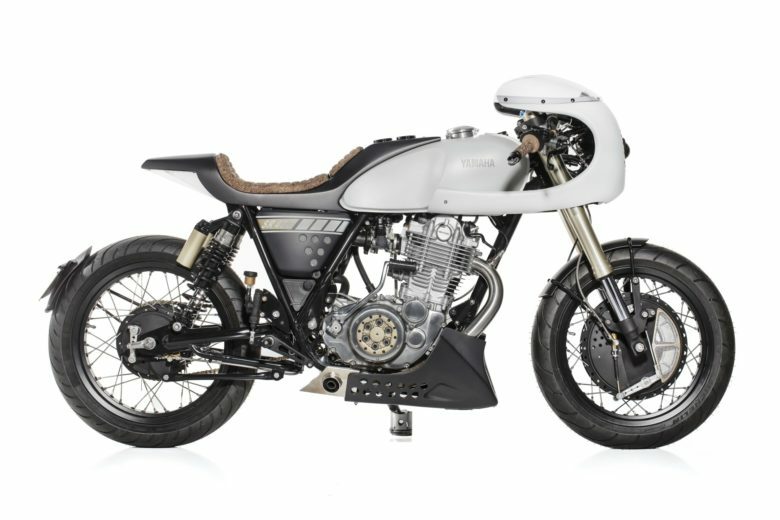 A classic Cafe Racer build again. 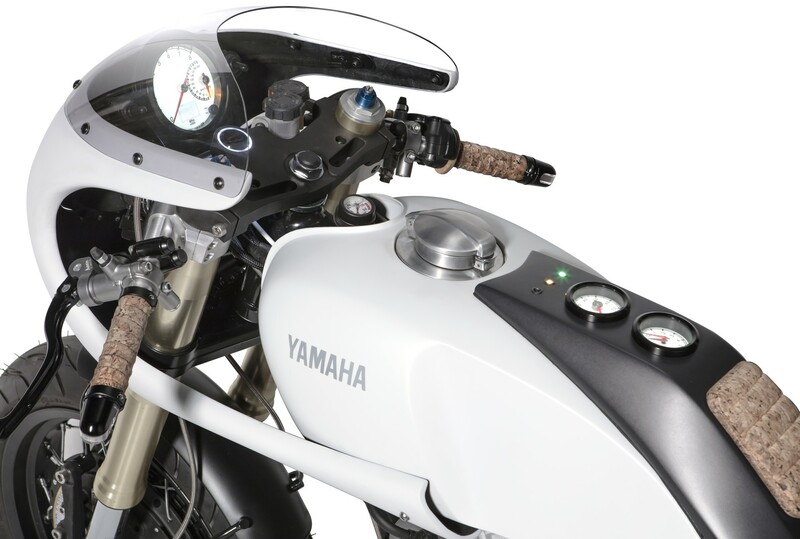 I find this little Yamaha – perfect. It’s such a classic and “typical” base to choose. At the same time, the styling and attention to details are so different. I love all the elements. 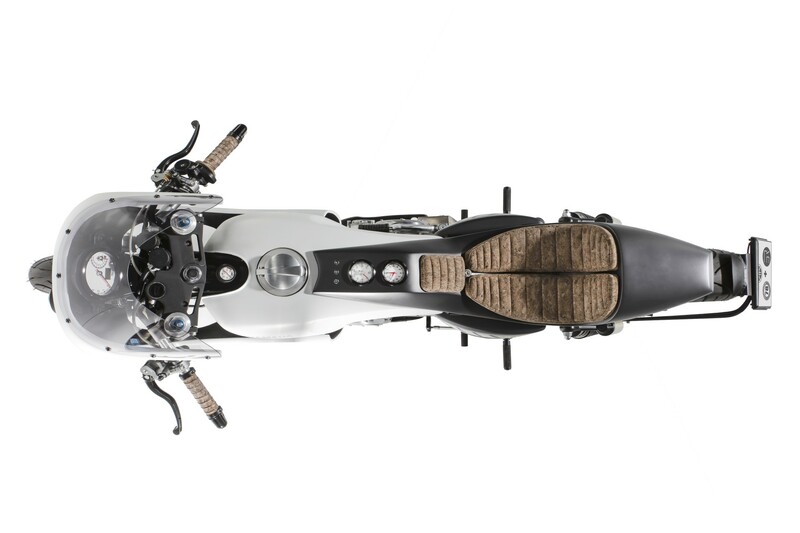 Cork seat, belly pan, front brake drum, the front fairing… the rear light! Everything is perfect here. Well – maybe I would go in a “darker” tone with the paint job, but it’s just me. Not many comments from my side, as the builders speak for themselves below 🙂 Enjoy the photos. And definitely, follow the builder’s profile’s (links below). 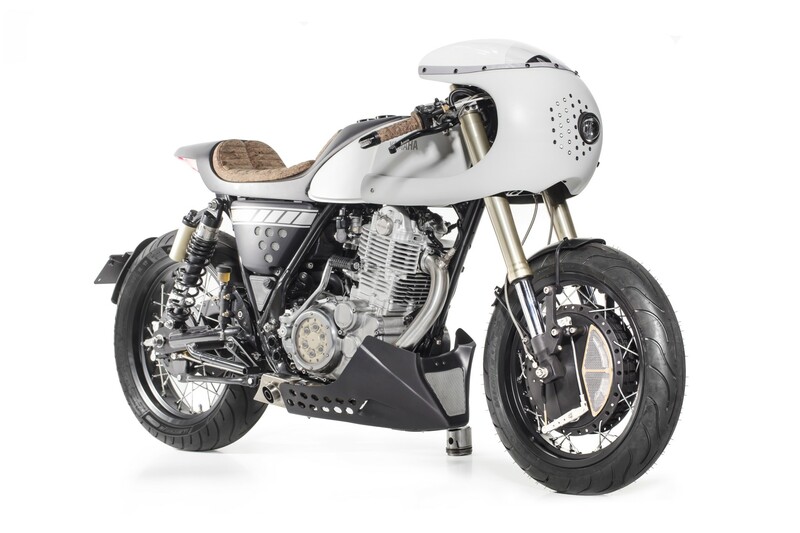 This Yamaha was born from a conversation between Nuno and Ricardo when they were traveling together to exhibit their latest builds at London’s BikeShed 2016 event. 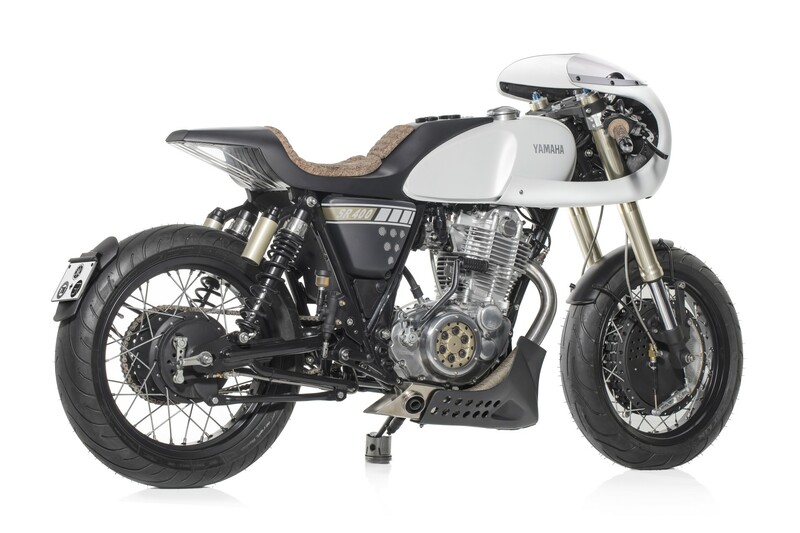 Yamaha Portugal had just launched a challenge to modify a 2016 SR 400 model as farewell homage to the iconic model that had been launched in 1978. 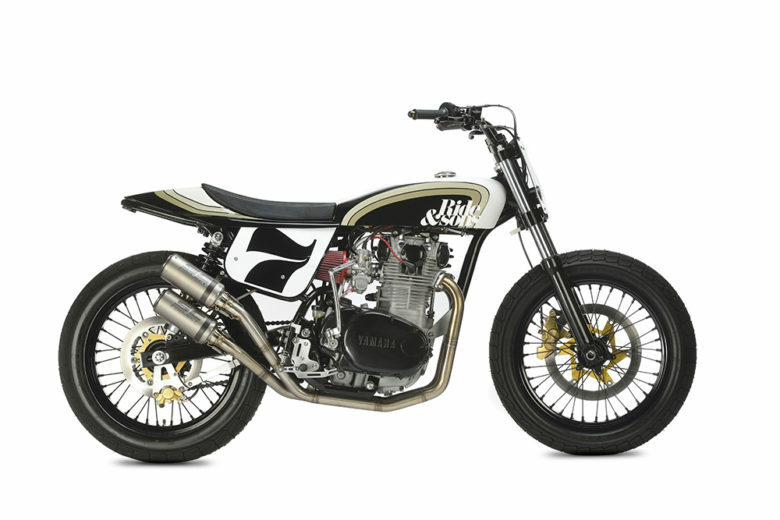 Being friends for some years and never having the chance of working together they decided to take on the challenge of building a unique Yamaha SR400. 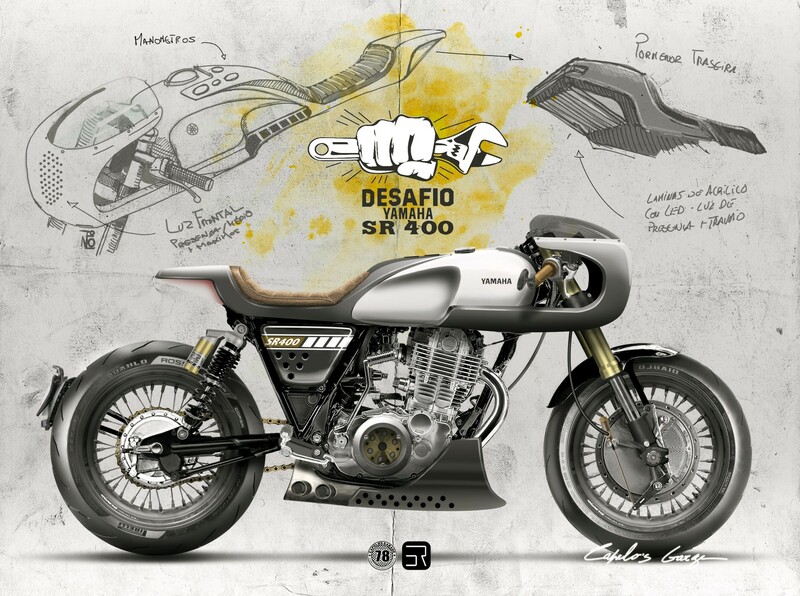 They soon decided that they wanted to build neo-retro cafe racer that would mix both of their personal styles, Ricardo taking a more engineering approach, experimenting with various technical details and Nuno with a more architectural point of view with a clean silhouette and color scheme. 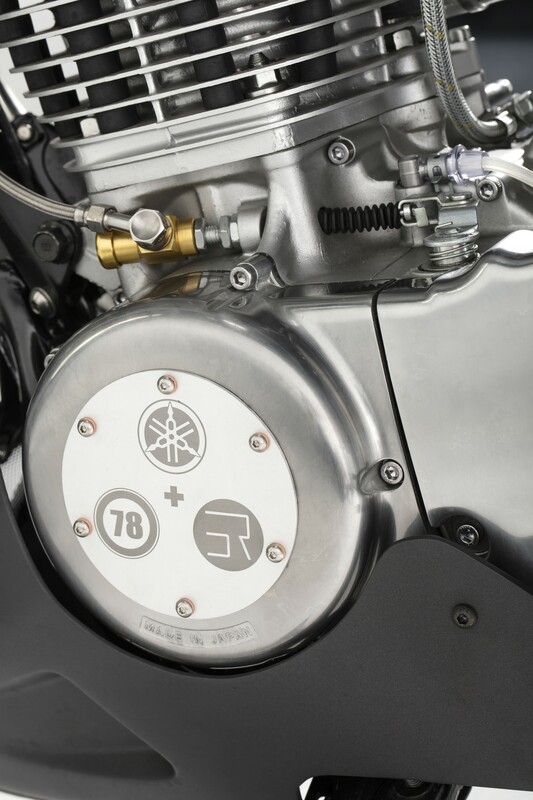 The main goal of the project was to make the bike as fast and road able as possible without tampering with the modest single air-cooled cylinder. They presented their project but unfortunately the challenge didn’t go forward and it was canceled. 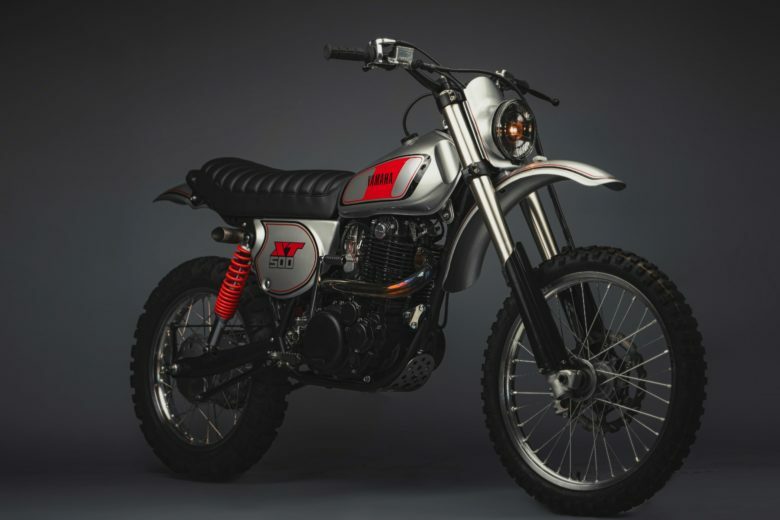 Despite this, the guys at Yamaha Portugal loved the design so much they decided to back them up on the build and delivered them a brand new, fuel-injected, kick-started, classic Yamaha SR400 by the end of 2016. They ended up designing and building together in Ricardo’s garage with very little resources and on a short budget, trying to do all the work ourselves and outsourcing as little as possible. and at the back the swing-arm was braced and complemented with a customized pair of Showa Piggyback units. Both wheels went from 18 to 17 inches with much wider Michelin tires and at the front the original single disc was replaced by a 4 leading shoe 260mm drum from a Yamaha TR3. Together with the original rear brake and the clutch, all the cables were replaced by a customized fully hydraulic system. This helped to boost up the power and feel also reducing the need for maintenance. Since there were no restrictions to the project besides keeping it within the lines defined by the Yard Build program and the Sport Heritage lineup, Ricardo and Nuno decided to create a fiberglass rear section molded from hand carved foam that could fit into the standard SR tank. 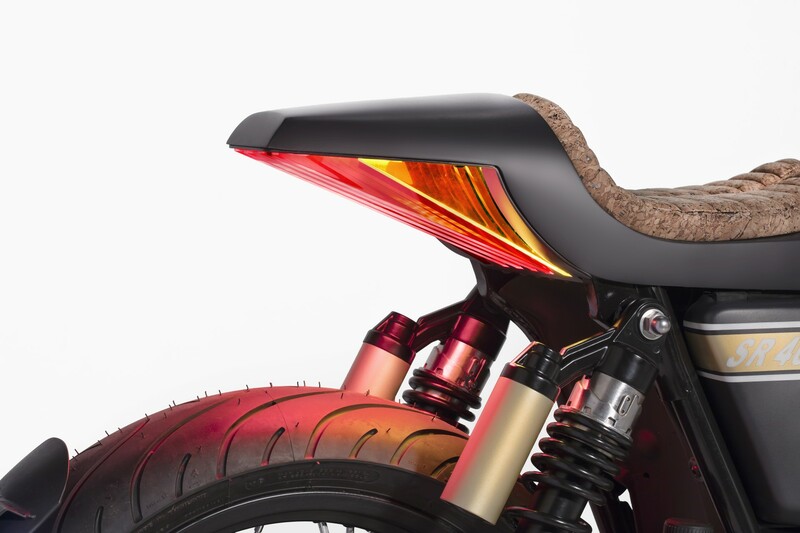 This piece integrates the rear light assembly which consists of several acrylic fins that function as tail, brake and turn lights. The concept behind it was to make a modern statement and keep the tail section very light to the view since the LED light only reflects on the brushed face of the acrylic. 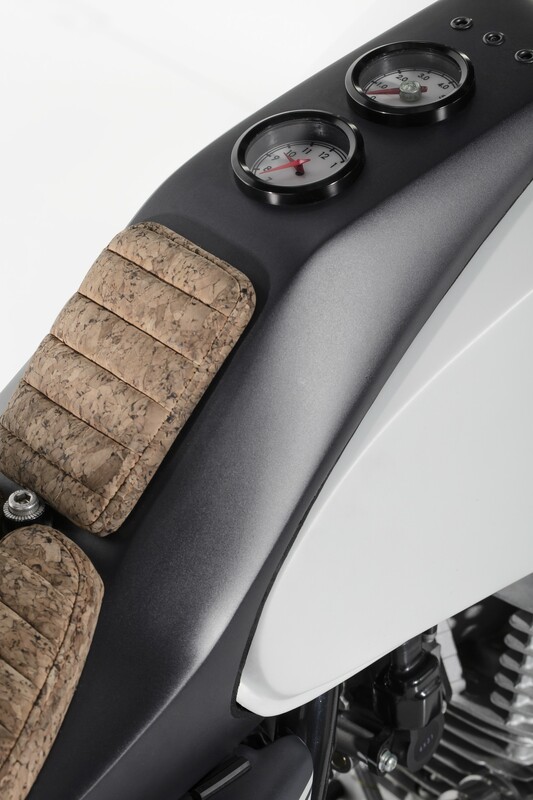 The tail piece also accommodates a couple of secondary gauges and warning lights, as well as a split seat unit similar in design to Ricardo’s previously built Domiracer made with cork fabric. so we wanted for some time to use that material in this application. The original tank was kept but significantly modified, narrowing the rear section and receiving a central mounted Monza cap. 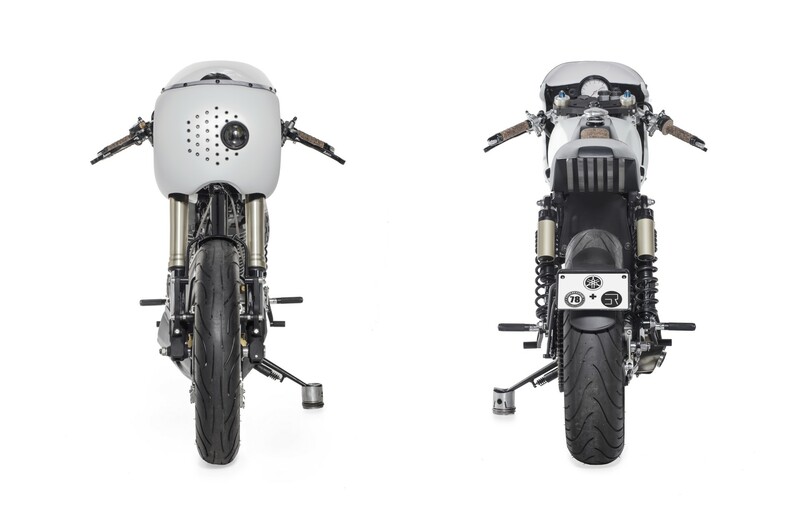 The fairing is a slightly modified version of the one Nuno used in his Pantah project and has been selling for some time now. It integrates a day running light and a Hi/Lo beam. 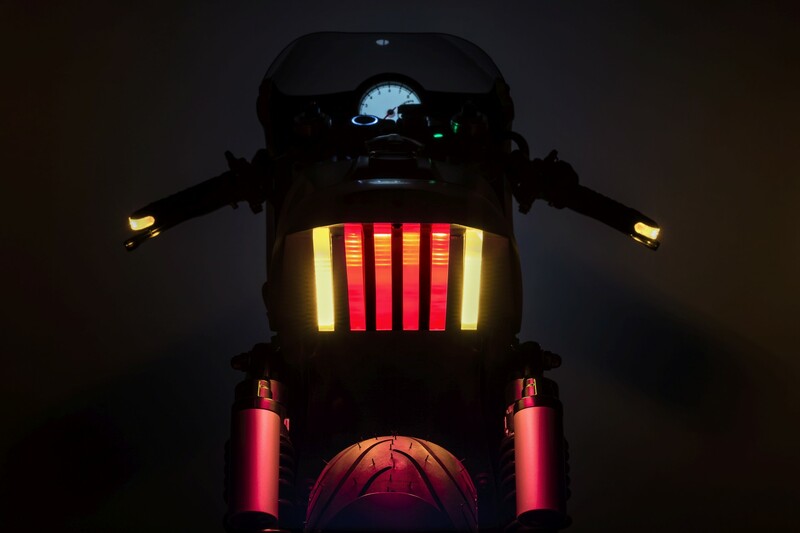 All the lighting is based on LEDs and the custom tachometer has a speedometer that works by GPS. We also decided to design a belly pan and we were really happy how it turned out. 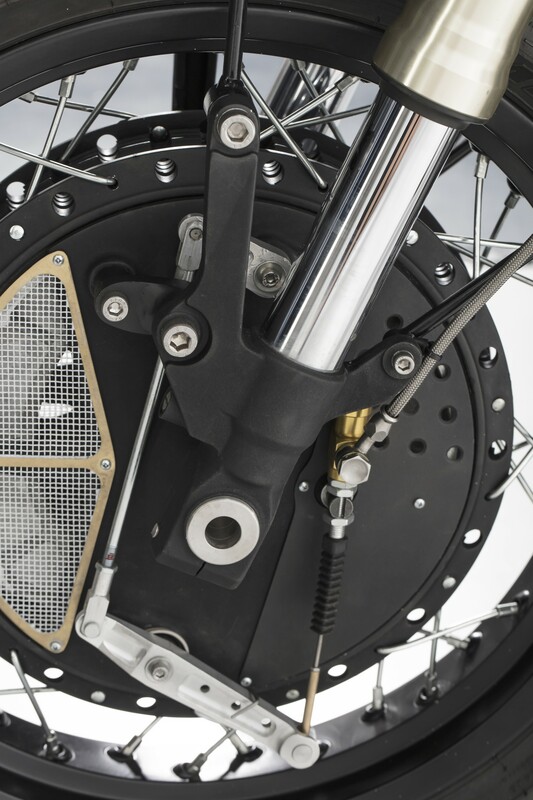 It brings the bike really close to the ground and gives it a very muscular look with the new custom stainless side exhaust. 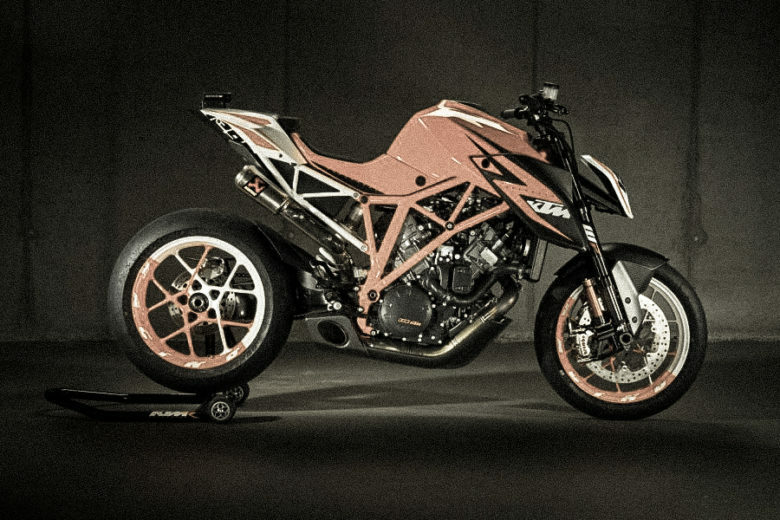 The bike starts kick only like any other SR and sounds great. It feels precise and nimble. So it tops out before 130km/h but it is a blast to ride in the city and on narrow and twisty roads. We have just returned from the Wheels & Waves with almost 200kms made just around town and the bike feels like it only wants to be ridden at open throttle! Very fun little bike indeed. Nuno Capêlo is a Bike Designer and owner of Capêlo’s Garage. After a few years of designing bikes for others, he decided to also start building his own bikes in 2016, being this bike his 4th project. Ricardo Santos started Elemental Rides in 2013 after quitting is a job as kitchen Chef. After two personal builds started working with Porto based Ton-Up Garage. In the beginning of 2016 ended his collaboration with this workshop to pursue his personal projects again.